Hospital psychiatric units and inpatient mental health facilities are specifically designed to help people that are troubled. That is why it is so shocking when an inpatient suicide occurs. People that place a loved one in mental health facilities are safe to assume that their loved one will receive the right amount of care and attention. A patient should never have an opportunity or the means to commit suicide. Unfortunately mental health professionals sometimes fail to exercise reasonable care by under-staffing their facility, hiring unqualified staff, failing to supervise or train staff or by failing to implement suitable safety and treatment guidelines. 1,800 of the 35,000 suicides that are committed every year are inpatient suicides. The average psychiatric nurse will experience a completed suicide during a shift every 2½ years. Hanging is the most common method of suicide in psychiatric hospitals and 3 out 4 suicides happen in the bathroom or bedroom. The bathroom after all provides the most privacy. Adequate education, training and experience are required in order to perform a proper suicide risk assessment. A detailed demographic profile should be performed which should include marital status, education, employment history, living situation and sexual orientation to name a few. The mental health professional performing the assessment needs to learn if the patient is or has ever considered suicide, if they ever planned a suicide, attempted suicide, if they intend to die via suicide or if they are under an unusual amount of mental or physical stress. While all manner of people commit suicide white males in their adolescent or older years are more at risk as are people that have attempted suicide in the past. The following mental health conditions put the patient at the highest risk for suicide: bipolar disorder, major depressive disorder, schizophrenia and substance abuse or dependency and the patient should be question about this. The suicide risk assessment must be fully documented. Often times the record of the formal risk assessment reveals how the mental health professional underestimated the suicide risk, missed the signs or improperly performed the assessment. 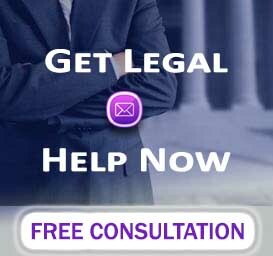 Free, no-obligation legal consultation. If we take your case, you pay no fee unless we recover for you. Maintaining shower curtains, door handles and other anchor points that could be used for hanging. A patient should never have the means to achieve death by suicide. A suicide watch should provide constant monitoring of the patient. Most hospitals use 15-minute checks or Q15 under the mistaken belief that checking in with a suicidal patient every 15 minutes is sufficient to prevent a suicide. Any facility that uses a Q15/15 minute checks with a seriously suicidal patient or a patient with uncertain suicide risk levels is negligent. It takes a minute or two for someone the hang themselves with a shirt and it takes a moment for someone jump out of a window. Did your loved one suffer harm or death by suicide as a result of caregiver neglect? Our lawyers can help you hold negligent or abusive caregivers accountable for their actions. It is important to work with a personal injury attorney to investigate the circumstances surrounding your loved one’s accident or wrongful death in order to determine if the mental health facility has any liability. To learn more about legal actions in cases involving inpatient suicide, neglect, or abuse, contact our law offices today for a FREE legal consultation, where you can find out more information about whether or not the care facility might be liable for compensation. Our experienced team of wrongful death personal injury lawyers can help evaluate the circumstances of your loved one to help you determine if compensation might be available to you. We offer a free, no-obligation legal consultation to help you understand your rights and the value of your case. Our personal injury law firm takes cases involving elder abuse and neglect, wrongful death, and personal injury cases. We offer legal service to clients in Massachusetts, Rhode Island and New Hampshire. Massachusetts Wrongful Death Personal Injury Attorneys, Free Consultation. No fee if no recovery.